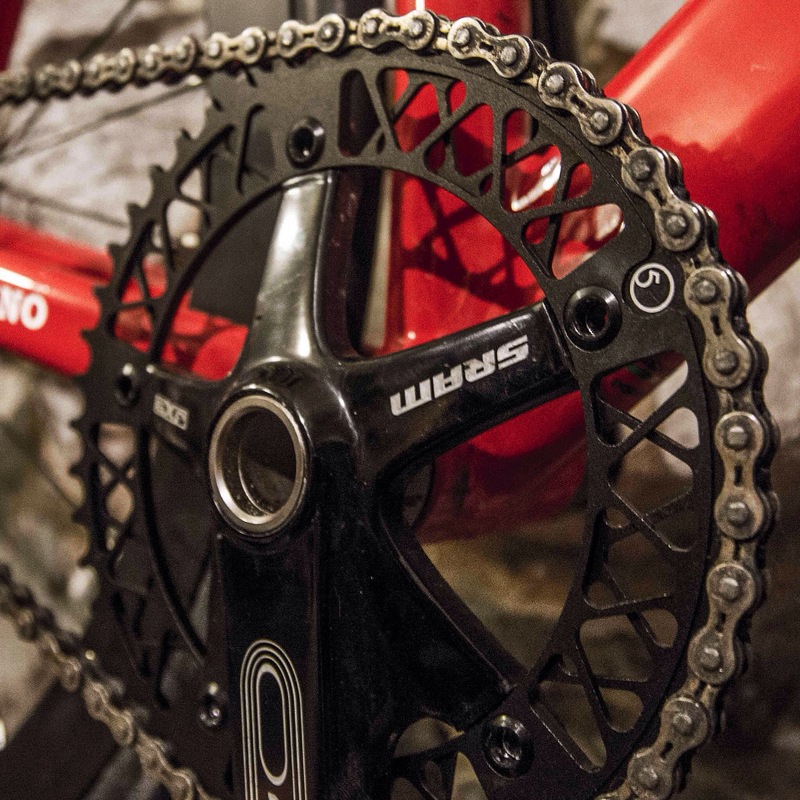 The guys at Factory 5 have stormed to popularity with their F5 Lattice chainring. CNC machined from a single piece of 7075 aluminium the Lattice is both strong and light. Weighing in at 78g and carefully designed, the team at Factory 5 have done themselves proud. A factor that enforces the quality of the chainring is it’s lifetime guarantee. I believe that if a company offers a lifetime guarantee it shows a tremendous belief in the quality of their product. I’ve been using a Lattice chainring on my track bike for the past month and am seriously impressed, it’s incredibly stiff and I don’t think anyone can say that’s it’s not one of the best looking rings on the market. The dual plain cutouts are gorgeous; this technologically innovative piece of kit is not only functional but also a thing of beauty. Yes I am geeky enough to think that a chainring is both beautiful and a piece of art! Available in 47, 48 and 49T and with a standard 144BCD pattern this ring fits all modern track cranks. Christmas is coming and this is something that should definitely be on everyone’s list! Did you have any issues mounting it to the strewn omnium such as needing new chainring bolts? No problem at all, I have 5 different sizes and they all work fine.